Is your Sunbeam Small Mixer Bowl missing, dented, cracked or broken? Maybe it would be convenient to have a spare bowl when you plan to make multiple batches? 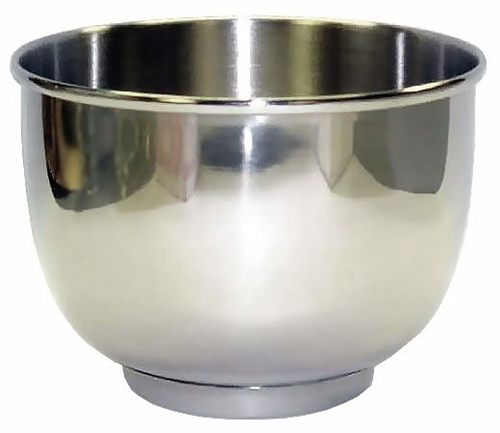 You may need a new Sunbeam stainless steel mixer bowl 022803-000-000. This steel bowl fits many Mixmaster stand mixers and all Oster Kitchen Centers, and can easily take the place of the glass mixer bowl. This bowl mounts on the turntable of the mixer's stand / platform.